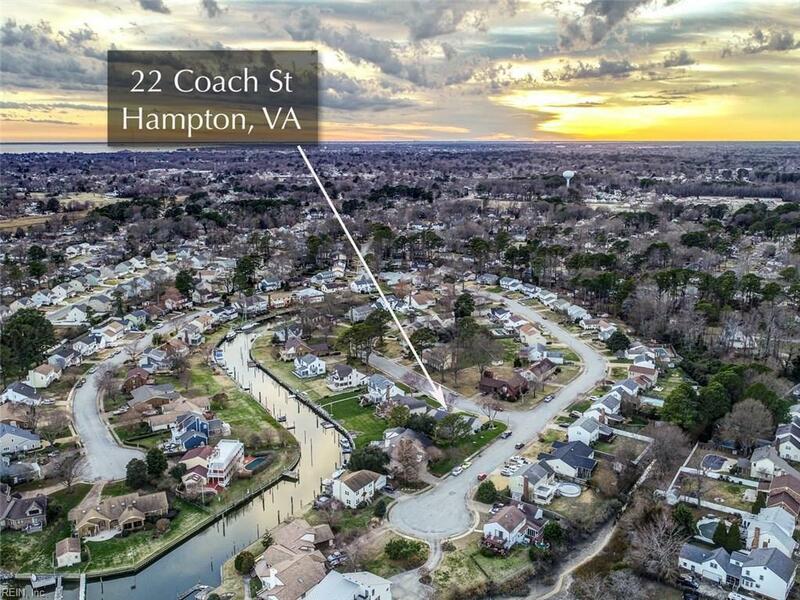 22 Coach St, Hampton, VA 23664 (#10239981) :: Abbitt Realty Co.
Beautiful house in desirable Colonial Acres w/ good deep water at your backyard...keep your boat at your own dock and have easy access to the Salt Ponds marina and the Chesapeake Bay! Upgraded and updated throughout! 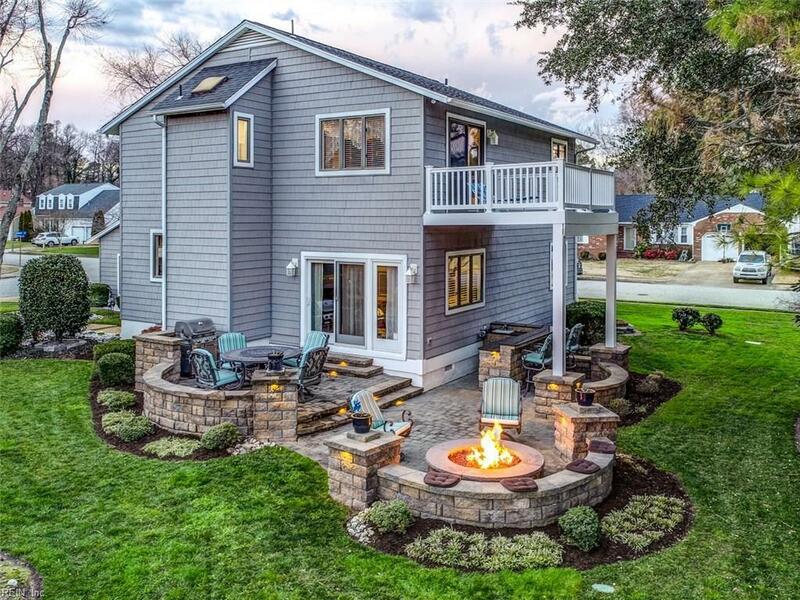 Brazilian Koa floors, kitchen w/ beautiful granite, upgraded cabinetry & gorgeous tile and stone backsplash, step-down den w/ fireplace, huge laundry room, and updated bathrooms. 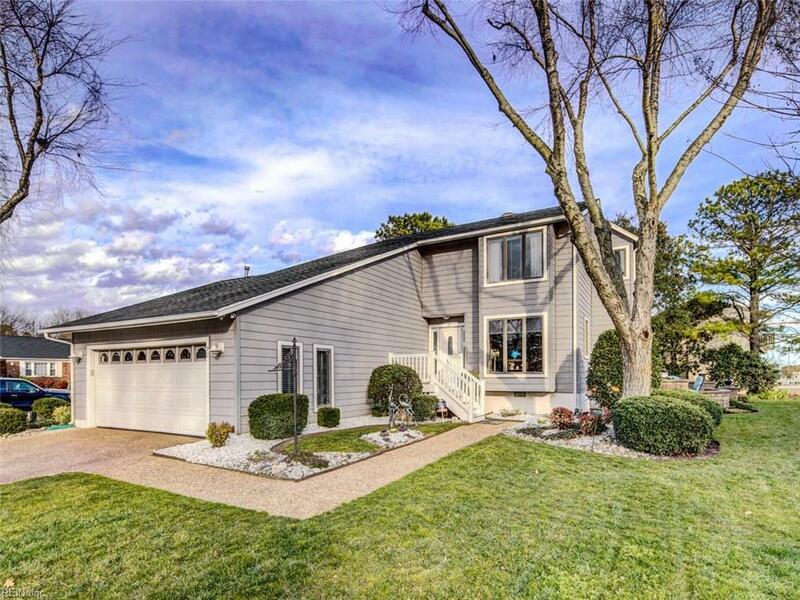 Nice sized room on 1st floor w/ additional office area that could be a 1st floor bedroom, huge master suite w/ private balcony w/ composite decking and railing, and large walk-in closet, and 2nd bedroom has closet the length of the bedroom. 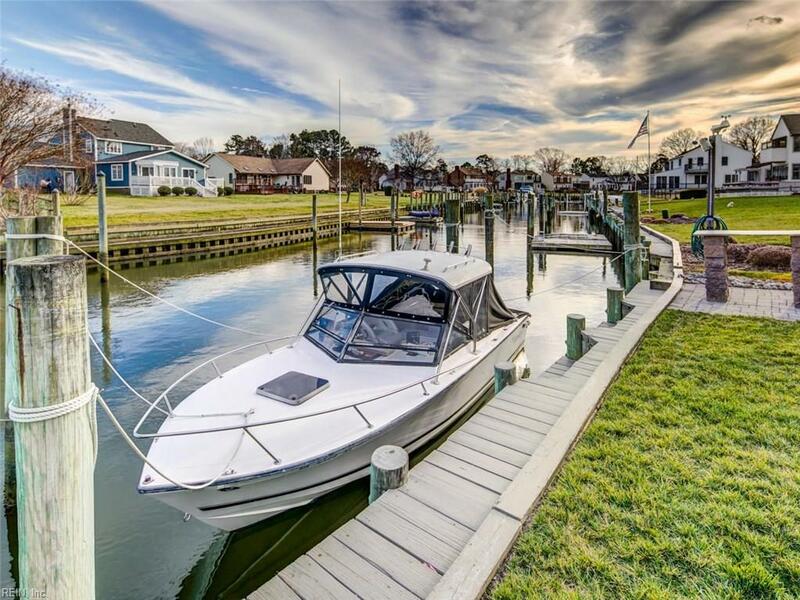 Amazing backyard features an outdoor kitchen w/ granite counter, extensive stone work landscaping, built-in firepit, beautiful custom lighting, and did I mention you can keep your boat right at your backyard! Garage has mini-split system with heat and air year-round, house has 22 KW generator, and composite cedar shake siding.